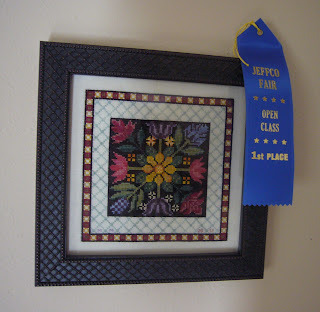 This past weekend was the third Jefferson County Fair. I did not know it was so young, especially since the County is over 100 years old. It looked pretty good for a young fair, kind of small, but I think it has plenty of room to grow! I was there on Sunday afternoon with a fellow Foothills Chapter EGA member at the chapter's table. 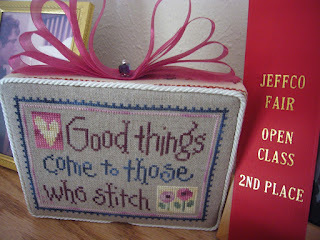 We had a display of our work and some stitching in hoops for people to try if they wanted. We also had some kits for interested people and stitched in public. We also got interviewed for the local weekly paper! 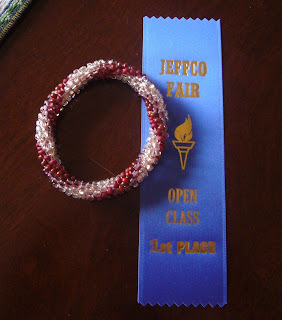 I entered my Flower Patch, Good Things Come to Those Who Stitch, and a bead crocheted bracelet. 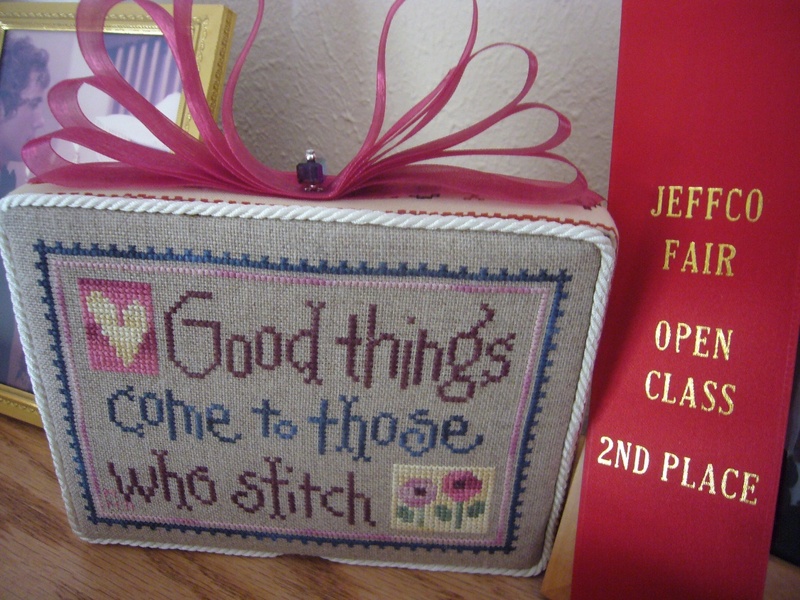 I came home with three ribbons. I may enter the bracelet in the State Fair next year, not sure. That about covers it for now!! Congrats! It's almost fair time here too. 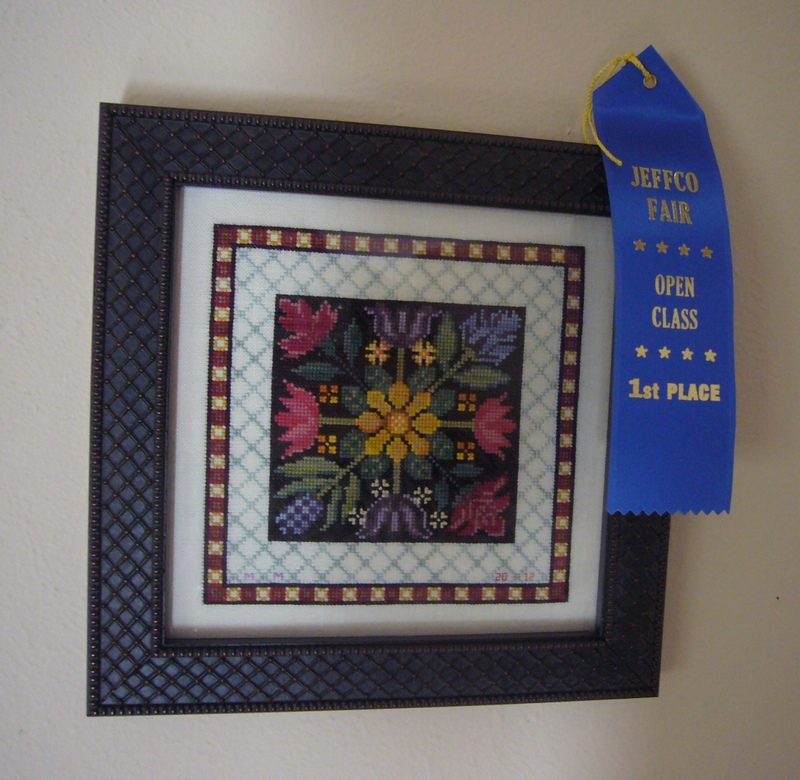 Great job at the fair! Freebies from My Memories.com - PARTY BAGS! !